I, Cody, request your magical wizardry and knowledge for my next car purchase. I finally have an "adult job" with "adult pay" so I can finally have the "adult garage" with my project car on one side and DD beater on the other side. I'm looking for something around $2,000, something that I could fix up and make "cool" (can't NOT mod a DD) and something that I could easily work on and fix/repair/jalop if I needed to (I couldn't tell you what dealership maintenance is, I just have these two hands and they seem to maintain and make deals pretty damn well). So I currently have a "top 3" list if you will of cars that I have found locally (Kansas City for anyone who feels up to the task of searching with me). They're pretty Oppo-worthy in my eyes but given the little bit I've searched on them they all seem kind of 50/50 on good versus bad. So that's where I need the help. 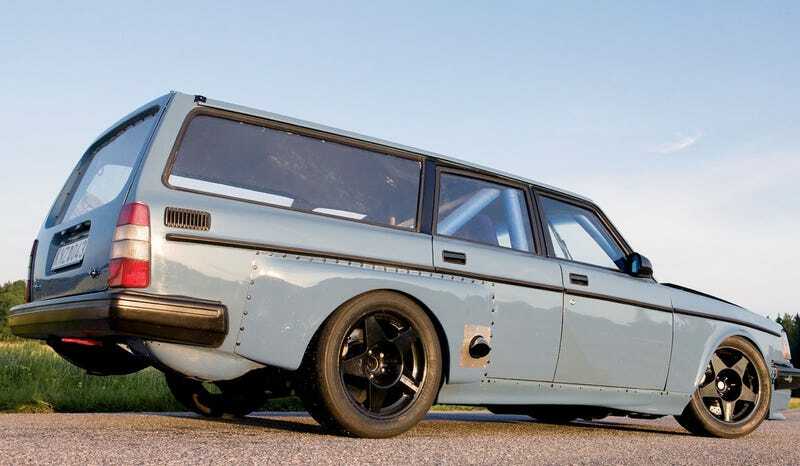 I've always wanted a Volvo Wagon, and I've always wanted one that was RWD. So this fits my bill of "cool DD" to the T. It is an automatic (I know hoping to find a manual is like wishing I'd wake up next to Olivia Wilde one day), but it has been taken care of overall so that was a plus to me. Also found a nice 760 Turbo Wagon, but I haven't been able to really get a hold of the seller that well to look at it in person. More of a "want" than anything else. I love V8s, sorry mom, and I've always wanted something that seems so "sophisticated" that I could turn into a semi-weekend warrior (exhaust, few mods, etc.). I've looked at a few 300-series as well, but I really like the overall package of the 400-series a lot more. So I found this today at work, and fell in love. I love Datsuns, and I love wagons. So this was a double-whammy. It does have a lot of miles, but honestly with most of these cars I planned on a rebuild during the summer when I could drive the Cobra again so I wouldn't be upset if this only lasted me until then. But it's just so different and rare that I fell in love. So, now that the rant is over, anyone have any input? Am I crazy, should I be asking about certain things on these three, or should I be looking at something else all together?